DKSH and Novo Nordisk Pharmatech A/S, a leading global supplier of high-quality ingredients for the biopharmaceutical and pharmaceutical industries, have partnered to provide high-quality cGMP quaternary ammonium compounds in eleven markets across Asia Pacific. Zurich, Switzerland, January 16, 2019 – DKSH’s Business Unit Performance Materials, a leading ingredients and specialty chemicals distributor, will distribute Novo Nordisk Pharmatech’s pharmaceutical grade compounds (quats) to its large customer base in Australia, New Zealand, Japan, Indonesia, South Korea, Thailand, Malaysia, Philippines, China, Taiwan and Singapore. 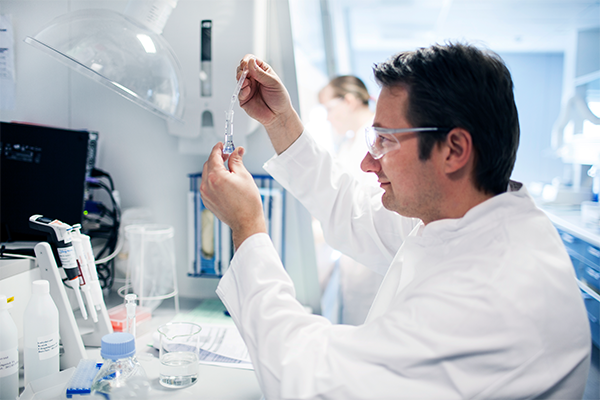 Novo Nordisk Pharmatech manufactures its pharmaceutical quats in accordance with the cGMP Guide ICH Q7 for Active Pharmaceutical Ingredients (APIs), the highest available quality standard in the industry. The quats, Benzalkonium Chloride (BKC), Cetrimonium Bromide (CTAB), Cetrimide and Strong Cetrmide, act either as preservatives or active ingredients in a diverse range of applications, including ophthalmic, nasal, oral, dental or topical treatments and medical devices, such as wound care. DKSH was chosen for its proven experience in providing Market Expansion Services along the entire value chain and for its solid logistics infrastructure. As a regional expert with more than 150 years of experience in Asia, DKSH offers an omni-channel approach that presents a one-stop regional solution for its clients. DKSH provides tailored valued-added services and a deep capillary distribution network that will enable the distribution of Novo Nordisk’s products in the eleven markets across Asia Pacific. Novo Nordisk Pharmatech A/S was established in 1949 as FeF Chemicals, acquired by Novo Nordisk in 1986 and has been part of the pharmaceutical group since then. Novo Nordisk Pharmatech A/S is the leading worldwide supplier of recombinant insulin for cell growth media and pharmaceutical grade quaternary ammonium compounds (quats) for the pharmaceutical, biopharmaceutical industry. DKSH Business Unit Performance Materials is a leading specialty chemicals distributor and provider of Market Expansion Services for performance materials, covering Europe, North America and the whole of Asia. The Business Unit sources, develops, markets and distributes a wide range of specialty chemicals and ingredients for pharmaceutical, personal care, food & beverage as well as various industrial applications. In addition, it creates innovative and cutting-edge concepts and applications in 29 innovation centers located worldwide. With 100 business locations in 31 markets and around 1,010 specialized staff, Business Unit Performance Materials generated net sales of CHF 894.1 million in 2017.